Professor Stephen Jarvis, Deputy Pro Vice Chancellor (Research) at the University of Warwick, has been appointed to the Alan Turing Institute’s Board of Trustees. He has been appointed as the non-executive Director and Trustee for the University of Warwick, taking over from Pro Vice Chancellor for Research Professor Pam Thomas who previously represented Warwick on the Board. 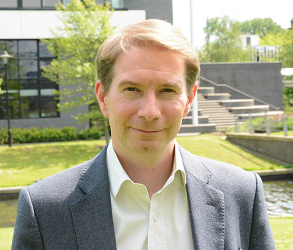 Professor Jarvis heads Warwick's High Performance Systems Group, whose research is focused on computationally intense applications of interest to the science and engineering community. He studied at London, Oxford and Durham Universities before taking his first Lectureship at the Oxford University Computing Laboratory. After a short secondment to Microsoft Research in Cambridge, he joined the University of Warwick, rising to Professor in 2009. In 2009, Professor Jarvis was awarded a four-year Royal Society Industry Fellowship with Rolls-Royce, focused on HPC code development, optimisation and performance modelling. In 2013, collaborative work with the US National Laboratories led to a R&D Top 100 award, widely recognised as an 'Oscar of Innovation'. More recently Professor Jarvis has applied these techniques to data-intensive domains, at the intersection of big data and high performance computing. In 2014 he became Director of the EPSRC Centre for Doctoral Training in Urban Science, which now supports more than 60 PhD students. Professor Jarvis has run funded research projects with IBM, UK MOD, Rolls-Royce Plc, Intel, Bull Information Systems, Microsoft Research and others. The Alan Turing Institute Board of Trustees is made up of independent members and nominated Trustees from each of our six founder partners. A full list of Board members can be found in the Leadership section of the website.